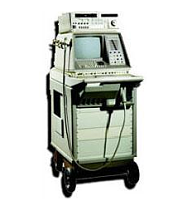 Hewlett Packard has been designing and manufacturing medical equipment for many years. 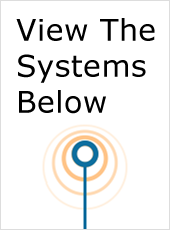 They first branched out their company into the medical electronics field back in the 1960’s. In 1997 they were considered the leader in cardiovascular imaging. 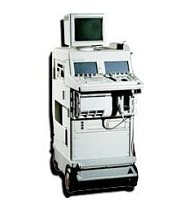 HP Ultrasound has made some great contributions in the ultrasound industry over the years. 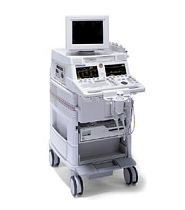 Hewlett Packard has created ultrasound systems for cardiology, cardiovascular, pediatric OB GYN, vascular, etc. 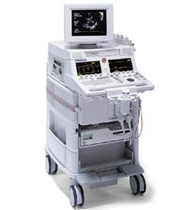 HP Ultrasound has a product line that is sure to meet your expectations. Their ultrasound systems are known for their exceptional image quality. They provide you with reliable, accurate and high-resolution digital scanning. Some of the features of their ultrasound systems include harmonic imaging, color dopplers, PW/CW Dopplers, ultra band imaging, high definition color flow, high frame rate scanning and so much more. HP Ultrasound is now currently under the Philips name. 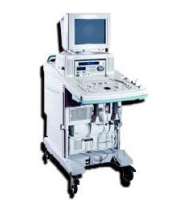 Philips Medical has purchased the rights and the technology of most of the previous HP Medical products. Although the HP name has been sold to Philips, many of the HP healthcare equipment that is used and refurbished can be purchased on our site. Some of the popular HP ultrasound systems that can be found on our site include the HP Sonos 5500, HP Sonos 2000/2500, HP Sonos 1000, HP ImagePoint and HP ImagePoint HX.